Marvel Phase 3 Will End MCU, There Is No Phase 4? 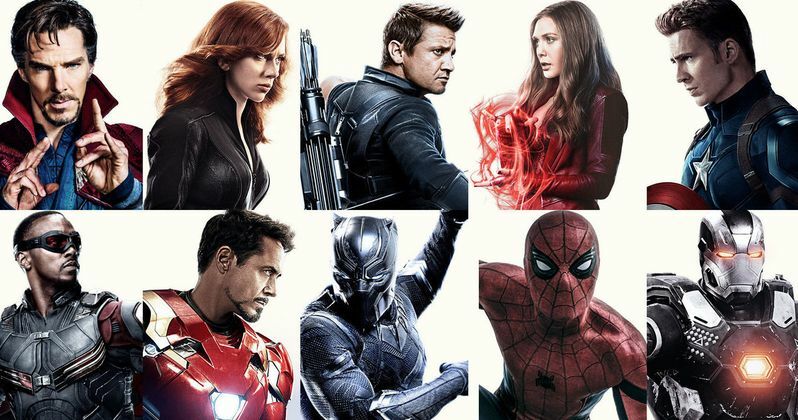 The Marvel Cinematic Universe is something that has completely reshaped the way that Hollywood thinks. At this point, we're looking at a series of 16 interconnected movies, with a 17th on the way in the form of Thor: Ragnarok on November 3, and that is, or at least was, totally unprecedented. But Marvel Studios' head honcho Kevin Feige knows that all good things must come to an end. That means the MCU as we know it will end by the time the credits roll on Avengers 4. Kevin Feige is currently promoting Thor: Ragnarok and recently spoke with Uproxx. During the course of the conversation, the man in charge of Marvel Studios talked a bit about what lies beyond Marvel Phase 3, which will conclude with Avengers 4 in 2019. It turns out that Marvel is looking at the end of Phase 3 as the end of one, absolutely massive story and when it's done, it's done. There will presumably be no Marvel Phase 4. Here's what he had to say about it. "Well, all I'll say is the films we are working on now, which take us through to the Avengers Untitled in May of 19, that's really all we are focusing on. And we are focusing on bringing, by that point, an unprecedented, 22-movie, continuous shared fictional narrative to a conclusion in a satisfying way. And where we go beyond that? Of course we will go places beyond that. And, of course, we have ideas of where we go beyond that. But, really, it is all good stories. And as the series finale of Star Trek: The Next Generation said, 'All good things must come to an end.' And part of what makes them special, there is a finite quality to the best of fictional stories through history. And we wanted to do that at the end of our first three phases and 22 movies. How we start anew and wherever we go beyond that is a story for another time. This is really about 10 years on, bringing something to a head in a satisfying and unexpected way." The idea of more than 20 movies eventually leading up to one grand finale is truly an amazing concept. But the idea of then closing the book on that version of the MCU, something that has been so wildly successful, is pretty bold. Then again, it isn't as though the MCU is going to end entirely. It's just going to change. Dramatically, it sounds like, but still. By that time, fans could be ready for some change. Something different. Closing a 22 movie arc satisfyingly sounds like a huge challenge, but if they can pull it off, the idea of starting with a relatively clean slate again is fascinating. At this point, there are only a couple of movies we know for sure are coming in the next chapter of the MCU. Calling it Phase 4 at this point may not really be correct, based on Kevin Feige's comments to Uproxx. We know that the Spider-Man: Homecoming sequel will be the first movie after Avengers 4. We also know that James Gunn is doing Guardians of the Galaxy Vol. 3. Beyond that, the future is ripe with possibilities for the MCU.